t Family photos decorate the home of Adanech Sebro and Belay Tesema in Wonji, Ethiopia. 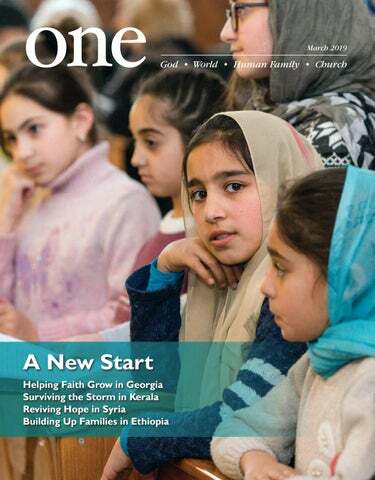 24 ONE is published quarterly. ISSN: 1552-2016 CNEWA Founded by the Holy Father, CNEWA shares the love of Christ with the churches and peoples of the East. CNEWA works for, through and with the Eastern Catholic churches to identify needs and implement solutions. CNEWA connects you to your brothers and sisters in need. Together, we build up the church, affirm human dignity, alleviate poverty, encourage dialogue — and inspire hope. Officers Cardinal Timothy M. Dolan, Chair and Treasurer Msgr. John E. Kozar, Secretary Editorial Office 1011 First Avenue, New York, NY 10022-4195 1-212-826-1480 www.cnewa.org ©2019 Catholic Near East Welfare Association. All rights reserved. Member of the Catholic Press Association of the United States and Canada. Pastoral Care of Migrants Responding to the call of Pope Francis to “help those who … are forced to live far from their homeland and are separated from their families,” CNEWA has expanded its outreach to migrant workers in the Middle East. Partnering with the Teresians (a secular institute of the church), CNEWA has recently developed a program to help the thousands of Filipinos who live in Jordan, working as nurses, caregivers and domestics. Several times each month, the Teresians host gatherings at the CNEWA-Pontifical Mission Community Center — which the Teresians administer — for workshops that range from catechesis and preparation for the reception of the sacraments to open discussions addressing social and family problems. The response thus far has been very enthusiastic, says CNEWA’s regional director for Jordan and Iraq, Ra’ed Bahou. “Hundreds participate in the meetings, liturgies and excursions, strengthening the relationships within the community,” he says, noting that for many, the gatherings are the only opportunities for the migrants to rest and socialize outside of work. OUR WEBSITE onemagazinehome.org OUR BLOG cnewablog.org Improving Ethiopia’s Schools With a $68,000 grant from generous CNEWA donors, the lives of 4,653 children in Ethiopia have been significantly impacted by the education offered at their local Catholic schools, notes CNEWA’s regional director for Ethiopia, Argaw Fantu. In particular, he reports, seven schools in six eparchies of the church have benefited with the installation of new furniture and desks, a refurbished science lab, the provision of school uniforms, additional reference books and stationary supplies, among other things. refurbished rooms of Terra Sancta High School. Generous grants from CNEWA and the Equestrian Order of the Holy Sepulchre in Holland enabled the Franciscan friars to replace the old and well-worn furniture with hundreds of new desks, teachers’ tables and chairs. From Paris to Philadelphia In February, Pope Francis named Bishop Borys Gudziak of the Parisbased Ukrainian Greek Catholic Eparchy of St. Volodymyr the Great as metropolitan archbishop of the Ukrainian Greek Catholic Archeparchy of Philadelphia. The grant enabled the school to improve its facilities and support individual and group efforts to benefit the students. The vast majority of those who study at Terra Sancta enter universities from the Holy Land to abroad for further study. leppo was a city under siege. For nearly four years, access to basic needs was almost impossible. The only road linking Aleppo to the rest of the country wound through the desert, exposing travelers to extremist groups which controlled the area. People lived in fear of shells falling on them and their children. Adding to the fear was economic hardship. The prices of goods and food increased as incomes fell, unemployment rose and the economy collapsed. Students of Al Inaya al Khasa School in Aleppo celebrate on a lunchtime trip to a playground across town. For decades, CNEWA’s work in Syria was modest: As a protected minority — making up 10 percent of the population — the nation’s Christian community flourished. War changed everything, placing the churches of Syria on the front lines of the violence. Despite the destruction, the displacement, the persecution and the deaths of many, Syria’s Christians have responded to the hate with love. Congregations of religious sisters, most notably, the Good Shepherd Sisters, have sought to help some of the millions who have been displaced and who may be facing unemployment, sickness, famine or trauma. The Sacred Heart Sisters, based in Lebanon, have reached out to assist the suffering peoples of Syria, especially the children, through activities that give meaning and hope to young lives, along with shelter, health care and education. The Marist Brothers in Aleppo are working tirelessly to provide health care and education through the brothers’ social center. CNEWA is assisting them by funding medical services for those in need. Conditions in Syria have been dire; countless people are living with chronic diseases, children have not been vaccinated and young women often lack basic obstetric care. These efforts and more are helping change that. Other critical partners of CNEWA are the many jurisdictions of the Catholic and Orthodox churches, such as the Melkite Greek Catholic Archbishopric of Homs, Hama and Yabroud. We are helping the archbishop rebuild the church, providing support for catechesis and counseling to some 5,000 families in 17 parishes. As with the St. Vincent de Paul Society, these efforts succeed in large measure because of “boots on the ground” — the religious and lay people who live and work among the people they serve and stay with them long after the crisis has passed. To continue supporting this vital and invaluable work, call: 1-800-442-6392 (United States) or 1-866-322-4441 (Canada). St. Vincent de Paul’s work varies, and includes addressing needs as obvious as medical care and as nuanced as safe places to play. their resiliency, so they can share in rebuilding their country and restoring their communities. Yet, in the midst of these fears and struggles, in spite of everything, there are stories of healing and signs of hope. for Roula’s schooling, including providing her with school supplies and clothes. Today, Roula is living a healthy, normal life, grateful for the opportunities offered to her by the society. So many other children in Syria have never received the support and assistance they needed. Some still cannot read or write, and many are suffering from post-traumatic stress disorders. Their future is far less promising. The sad reality is that there are many cases like Roula’s, but it is difficult to screen and reach them, especially those who are still living in dangerous areas. Changing a child’s future — especially by providing education and a secure home life — is critical to help build a better society and give hope. uzanne was full of life and hope. She had many dreams for her and her fiancé, Fady; they planned to marry and build a family. She was looking for a new job to secure their future when the war started. Her dreams were shattered when a shell struck her house, landing in the room where she was sitting. Suzanne was critically injured, fighting for her life. Her neighbors rushed to save Suzanne and her family. The Society of St. Vincent de Paul was able to step in and provide assistance, but Suzanne’s condition was critical. Her skull was fractured, her jaw and face seriously disfigured. Suzanne underwent several operations and spent weeks fighting to recover. In the midst of this heartache, her fiancé abandoned her. He could not face a future with a wife who had been scarred and deformed by war. t A Syrian Armenian woman lights a Christmas votive candle at the Church of the Holy Mother of God. In the weeks that followed, members of the St. Vincent de Paul family visited Suzanne frequently. These visits, along with support from her family, helped Suzanne to heal emotionally and spiritually, while doctors have helped her heal physically. In the course of nine months, she underwent 18 operations — funded, to a great extent, by the society. In time, Suzanne began to venture out again. Young women involved in St. Vincent de Paul persuaded her to start working. They bought her materials such as beads so she could develop her skills and help sharpen her ability to focus to sell her jewelry in order to feel independent and productive. Suzanne is one of many whose wounds from the war are lasting and deep. But thanks to Aleppo’s diverse Christian community, and works of that community such as the Society of St. Vincent de Paul, she is healing and growing stronger. We believe the loving hands of Christ will accompany her, allowing her to continue her journey with faith and gratitude. he first thing that catches the eye in Belay Tesema’s comfortable living room is a big poster. Hung in a corner, it features pictures of him and his wife, Adanech Sebro, and their two sons, both wearing the mortar caps of graduation. Above the photographs two simple words are inscribed: “good family.” When one pays them a visit, the truth of these words is plain. “We have a strong family,” says Mr. Tesema, 48, adding that there is only one person missing in the picture: Samrawit, their daughter and youngest child, who is the leader of the local Catholic youth prayer group. The couple has enjoyed 26 years of marriage. They have spent those years living in Wonji — a town in central Ethiopia located about 60 miles southeast of the capital of Addis Ababa — the site of the country’s oldest sugar factory, which was established in the early 1950’s. The area used to be home to thousands of Catholics, when the Consolata Missionaries were active locally, but the population of all peoples plummeted in the region with the sociopolitical and economic policies of the Derg regime in the 1980’s and early 90’s. “We’re a bit unique here,” Mr. Tesema adds, referring not only to their faith tradition, but also their harmonious marriage. In the neighborhood, he often sees couples wrangling, with shouting matches and worse. “The husbands are intolerant for minor cases,” Mr. Tesema laments. Adanech Sebro and Belay Tesema chat with visitors in their home in Wonji. The couple gained this confidence during a six-day workshop they attended at the Capuchin Franciscan Research and Retreat Center in Addis Ababa last December. Established a year and a half ago by the National Pastoral Commission of the Catholic Bishops’ Conference of Ethiopia, this training is dedicated to Catholic couples and families throughout the country. Some 42 people, representing each of the 13 Catholic eparchies and dioceses in the country, have participated in the program thus far. nspired by “Amoris Laetitia” (“The Joy of Love”), Pope Francis’ apostolic exhortation that proposes a new pastoral approach for the family — one grounded in “patient realism” — the workshop seeks to promote healthy relationships and a better understanding of the values of the Christian faith. “What is the meaning of ‘family’ according to the word of God?” asks Abba (Amharic for “father”) Daniel Assefa, O.F.M., who directs the center. “God blesses the family, which is the pillar of society. It is crucial not only for the spiritual aspect but also for the education and the formation of an individual,” he says. “It is important to invest in families, which can also create vocations for the priesthood and religious life,” he adds. For the center, this workshop on marriage and conflict resolution is a way to connect to Ethiopian society through its oral and literary traditions, by collecting and synthesizing a variety of teachings, proverbs and works related to families. CNEWA Connection t Mr. Tesema stands with his son, Biruk Belay; his wife, Adanech Sebro; and his mother, Bezunesh Moghesha. u Zewdunesh Negese, Samrawit Tekle and Tsedale Mola discuss their Catholic faith. y Abba Daniel Assefa heads the Capuchin Franciscan Research and Retreat Center in Addis Ababa. Our regional director in Addis Ababa, Argaw Fantu, explains that family issues are a primary concern in Ethiopia. “CNEWA, being a partner in determining the needs of the local church, supports family formation programs nationally and locally,” he writes. “These programs are aimed at forming families morally and spiritually.” He adds that CNEWA’s support extends also to easing poverty and uplifting the poor, particularly mothers. One initiative is the Meki’s Kidist Mariam Center, a vocational program to help alleviate poverty for rural families. Poverty, he emphasizes, is a critical issue for families in Ethiopia. It is driving many children to the streets, so there are efforts underway to help empower mothers economically, with skills training and education. The decline in formal marriages is another concern, so CNEWA is supporting initiatives to strengthen families and give young people the support that comes from a good home life. The benefits, Mr. Fantu writes, are immeasurable. “These programs,” he writes, “are aimed at forming families in which Christian values can be lived, shared and witnessed in the wider society. Young people need to have model Christian families.” To support this invaluable and uplifting work, call: 1-800-442-6392 (United States) or 1-866-322-4441 (Canada). we have to pray together, to share the word of God together. We also try to exercise once or twice a week.” At the center, couples learned “how to connect the spiritual aspect with the practical life,” Abba Daniel sums up. he workshop’s teachings are invaluable given the rapid changes afoot in modern-day Ethiopia. “Secular postures and outlooks are growing in our traditionally religious nation,” wrote Abba Teshome Fikre Woldetensae, who Mr. Tesema updates the announcement board outside St. Mary’s Church in Wonji. coordinators along with local directors and bishops facilitate the recruitment of motivated participants. “We believe that if the practice of the workshop would be owned and shared by those participating families and beyond, the Catholic faith will be sustained through strong families whose values the children pick and endeavor to live accordingly,” says CNEWA’s Argaw Fantu. her friend, Mrs. Negese, a devoted wife with three daughters. “Unfortunately, the most common cases in the area are divorce cases.” The three women hope to show the right path and to help Catholic couples and young people acquire common values. “The Catholic faith requires living an exemplary Christian family life in the society,” says Mr. Fantu. “This means living Christian values concretely and consistently. Preaching has to be substantiated by authentic Christian living,” he adds. “That is the teaching of Pope Francis.” Emeline Wuilbercq is a French journalist based in Addis Ababa, where she serves as a correspondent for the African edition of Le Monde. Her work has appeared in Jeune Afrique and The Guardian, among other publications. he Assyro-Chaldean Christians of historical Mesopotamia — modern Iran, Iraq and Turkey — have been used as pawns in political games by powerful states for centuries. But nothing prepared us for the tragedy of World War I, which decimated our people and our churches: the Church of the East, the Syriac Catholic and Orthodox churches, and my own Chaldean Catholic Church. We were dispersed, as many of our people fled to other corners of the world. The numbers tell the story. According to the Soviet census of 1939, there were some 20,000 Assyro-Chaldeans, most of them postwar refugees, living in what is now the Republic of Georgia. In 1990, that figure fell to 7,000. According to the census of Chorbishop Benyamin Beth Yadgar meets with members of the AssyroChaldean community in Tbilisi. p Chorbishop Beth Yadgar seeks to strengthen bonds of community through parish events. z Children from Tbilisi and Gardabali attend dance classes at the AssyroChaldean parish complex. zz Young parishioners gather at the center for lessons in Aramaic. 2001, only 3,000 people identified themselves as Assyrian or Chaldean. It was into this difficult situation that I arrived in 1995, tasked with beginning an Assyro-Chaldean Catholic mission in the Georgian capital city of Tbilisi. I was entering a world of tremendous challenges. The view from my window of the airport below as I first approached Tbilisi startled me. It was totally dark. The landing strip was barely illuminated. It looked like a yawning abyss, gloomy and bleak. The picture didn’t get any brighter as I made my way through the city. while they strived hard to find daily bread, was not easy. But in the midst of so much strife, I found inspiration from those who came before us — namely our dear grandmothers and grandfathers who attended church in any weather, under any circumstances, with great love and enthusiasm. Their devotion was so great! The generation who followed them, a generation of agnostics and atheists, could not grasp how much their elders suffered for faith and truth. These people in the most difficult years of Soviet regime risked everything. When it was fearsome to speak about God even in a whisper, and when churches were bulldozed or dynamited and priests were executed, they continued to visit the churches that survived, giving moral and financial support to priests to preserve the word of God and to keep hope alive. Today, many of them are no longer with us. But they live on in memory. For me, they remain steadfast examples of courage and devotion. It is a courage and devotion deeply rooted in our history. Above all, they are survivors. been something unshakable. These strong people resisted pressure, oppression, violence, cruelty and injustice. And what made them survive, what enabled them to endure, was something far stronger than a sense of national selfpreservation. It was — and it remains — their Christian faith. They have prevailed because of the Gospel. After the collapse of the Soviet Union, Assyrians and Chaldeans in the revived and independent Georgia were grateful to live in a country with deep Christian traditions, and they gradually regained hope for a peaceful existence. But these hopes were sobered by the realities and results of life after 70 years of Soviet rule, during which society was in a severe informational vacuum. At that time taboos and prohibitions were an integral part of life. These extended to all spheres of social and state activity, including the practice of religion. The Divine Liturgy at the AssyroChaldean Parish of Mar Shemmon Bar Sabbae draws wide participation from the community. All these efforts are working toward one beautiful goal: to destroy indifference and build a temple of love in our hearts. Scripture; we draw together communities for the celebration of sacraments and feast days; we foster love and charity among the people; we teach the faith, ethics and morals of the church; and we support the practice and preservation of our cultural heritage. Through all this and more, we prayerfully work to keep the Gospel alive and deepen the faith of the people. We seek to spread the hope of Christianity, and bring light to those who spent so many decades in darkness, with humanitarian and education projects, along with spiritual activities. To this day, the work goes on at what is now the Assyro-Chaldean Parish of Mar Shemmon Bar Sabbae, which was consecrated in Tbilisi in October 2009 by the late Cardinal Emmanuel III, patriarch of Babylon of the Chaldeans. ot far from Bethlehem’s ancient Church of the Nativity, which marks the site of the birth of Jesus, cribs line the wall of a nursery. Within them lie infants swaddled in pink and blue blankets; their names are displayed on stickers. Colorful mobiles dangle above their heads. Most of the babies are asleep, but not little Nadia; she lies on her stomach while her big brown eyes seem to dance around the room. She is alert and beautiful, and she was found abandoned on the street. Administered by the Daughters of Charity, the Holy Family Children’s Home, also known as the Crèche, is a humble site unknown to the thousands of tourists who flock Bethlehem, especially during the Christmas season. The sisters, who belong to the St. Vincent de Paul family of religious men and women, came to Bethlehem in 1884 with a mission to care for the poor, the sick and the marginalized. They founded a hospital and later, in 1905, set up an orphanage to house the babies abandoned on their doorstep. The Crèche has grown since, now offering shelter to expectant mothers and a home for children. At the Crèche, the mission of the sisters and their team is to serve the most vulnerable children and mothers in Palestine. Many of the home’s mothers are single and are victims of sexual and physical abuse, often at the hands of their brothers, fathers or uncles. Many have serious health problems due to lack of prenatal care, unsafe deliveries or both. Most have yet to turn 18. In the nursery’s center, just across from the corner with a pair of 10-day-old twins, rests an infant wrapped in a pink blanket. Her mother is just 14 years old. A Daughter of Charity cares for orphans at the Crèche in Bethlehem. CNEWA Connection t Sister Lucy Jadallah serves as principal of the Rosary Sisters High School in Jerusalem. u Sister Frida Nassar addresses students at the Terra Sancta School. in Palestine, Israel, Jordan, Lebanon and Syria. “We arrived in Palestine from France responding to the Franciscan Fathers’ call,” Sister Frida says, her wavy salt-and-pepper hair peeking out of her charcoal gray veil. Their mission was to support the Christian girls of the Old City of Jerusalem. They began with 30 girls, teaching Arabic and French, as well as sewing and embroidery. At Terra Sancta, there are about 300 students — 150 boys and 150 girls — evenly divided between Muslim and Christian, with around 26 students to a class. Until the autumn of 2018, this site was known as St. Joseph’s, an allgirls school. With declining enrollment — the emigration of Arab Christians from the Holy Land continues — and other financial concerns, however, the sisters merged St. Joseph’s with the allboys Terra Sancta School under the latter’s name. In the exchange, elementary students of both genders now attend the sisters’ campus near Jaffa Gate, while middle- and highschool students attend the campus near New Gate, which is staffed by the Franciscans of the Custody. Sister Frida is still getting used to having boys in her school. She notes that it has not been an easy transition. “They need more space for running and jumping.” Today, four of the community’s sisters teach in the school. The remaining 22 teachers are lay women, many of whom attended the school. But, Sister Frida adds, “we share with the lay teachers the sisters’ spirit.” Monthly faculty meetings often focus on sharing the charism of the community — their vision of faith and service. At 7:45 every morning, students line up and pray together. Catechism is taught in all classes. Those students who are Muslim accompany the three Muslim teachers to pray and discuss the Quran. The curriculum is Palestinian. Arabic, English and French are taught, as well as Hebrew. have access to Jerusalem or Israel without permits from the Israeli authorities. And with green IDs, there is no health insurance, no pension, nothing,” Sister Frida says. These differences can pose problems in terms of access, as well as in the health and well-being of students and their families. Yet despite these challenges, the students’ performance is encouraging. “After graduating from Terra Sancta, students go to Bethlehem University in Bethlehem, Birzeit University in Ramallah or Hebrew University in Jerusalem,” Sister Frida says. “Few leave the country unless they get scholarships.” Some work at the French or Belgian consulates. lasses have ended for the day at the Rosary Sisters High School. Outside, teenage girls with cell phones in hand, some with their long hair hidden underneath their hijab, laugh and chat. This scene from Beit Hanina, a neighborhood in Palestinian East Jerusalem, could have been a girls’ high school anywhere in the world. Sister Lucy Jadallah, 48, the principal for both the primary and the secondary schools, is from Ajloun, in the northern highlands of Jordan near the traditional site of the birth of the Prophet Elijah. from Bethlehem and Jerusalem, respectively. Her younger sister, Julie, is in the eighth grade. Nicole describes the school as competitive and strict. “One needs to work hard to get good grades. But, it offers lots of opportunities.” At a sociopolitical art museum not far from the school, a banner ripples in the wind. It reads: “Raise boys and girls the same way.” Sister Lucy offers both girls and boys the same advice: “Your weapon is your education. Don’t accept only a high school education.” Diane Handal is a frequent contributor to ONE, focusing on the Middle East. t began while many still slept. Annamma remembers it vividly. It was about 4 a.m. on 16 August 2018. She had woken up early to make coffee for her husband in the kitchen of their home in the village of Kanjikuzhi, in the high ranges of the Idukki District. A heavy rain was falling outside. It had been that way in Kerala for much of the month. But people had adjusted to it. Life went on as usual. “My husband, Thomas, wakes up early in the morning,” she says, recalling his daily routine. “He then reads the Bible, prays and then goes to church. “He has done this since he was a boy, every single day without fail. This was like any other morning: He prayed. I made him coffee.” Then, everything changed. Without warning, life as usual was shattered. A coconut tree crashed into the house. Water poured in; the walls crumbled. It was a landslide. Rescue officials assist villagers out of a flooded area near Cochin following heavy monsoon rainfall. CNEWA Connection t Rescue personnel evacuate a flooded area in Muppathadam in Cochin’s Ernakulam district. y Father Sebastian meets with Joy Kannatt and his son. along with his presence and support, the church has been able to offer resources, guidance, prayers and, most significantly, hope. Father Kochupurackal is the executive director of the High Range Development Society (H.R.D.S. ), the social welfare arm of the Syro-Malabar Catholic Eparchy of Idukki, founded in 2008. “We work for the development of communities here, to help and educate them,” says Father Kochupurackal. “The landslides here really showed that more work needs to be done to create eco-awareness and natural disaster rehabilitation.” Putting such advocacy on hold for the moment, members of the local church rolled up their sleeves and went to work. In addition to raising 4.8 million rupees, or more than $67,000, to support those who lost their homes and their livelihoods, “the church staff decided to donate a month’s salary to the flood victims,” Father Kochupurackal says. “This idea was later adapted by the Kerala government, if people wanted to donate to flood relief.” The church’s immediate assistance was not just monetary; during the floods, the eparchy set up 105 rescue and relief camps. “We helped about 7,000 families, keeping them safe in the camps set up in the church premises around Idukki,” the priest adds. “We collected things like bedsheets and blankets from people. The bishop, vicar general, everyone from the eparchy helped out.” The first priority was to give people a safe place to stay, where they would have food and a bed. Now, several months after the devastating floods, the Eparchy of Idukki has set up a committee called Santvanasparsham (translating to “the touch of compassion and empathy”) to strategize and determine how to best help those still affected. “It is comprised of priests, men and women from the area, volunteers. We get together to discuss how best to use the money we have collected,” he says. hat same August morning, Shaji George was also awake, working his shift as a driver in Dubai, nearly 2,000 miles northwest of Kerala. The news came by way of a text message. “Basically, the message said my mother, father and sister had died in a landslide. That was it,” Shaji says. His parents and sister had been buried under the rubble. Only later did he learn the full story. As they carried the bodies to the local hospital, someone realized Shaji’s sister was still alive, but barely. “There was a chance of saving her,” he says. “There’s a well-known local doctor. His house was 100 yards away. But the roads were blocked by the landslides and water. They couldn’t get my sister to the doctor because of that,” he explains. “They tried so hard.” Eventually, the rescuers reached the bishop’s house, where a morning liturgy was to begin. “They asked if there were any nurses around,” Shaji says. “You know, a lot of the time sisters and nuns are also trained nurses in rural areas.” But that morning, there was not a soul who could help. “My sister breathed her last at the bishop’s house. She couldn’t be saved. “People tried their best. It wasn’t to be.” Shaji has since left Dubai and returned to his native village of Vazhathope in the Idukki District. “I just couldn’t go back to the Gulf,” he explains. “My heart wasn’t in it at all. Words can’t explain how I feel.” Father Kochupurackal and H.R.D.S. are helping Shaji cope with his great loss. It is not easy. Landslides left roads destroyed in the district of Idukki. “We’re a close knit community here,” says Joy Kannatt. He offers his own story as proof. His automobile garage had been the place to go to in Vazhathope should you have a problem with your car, scooter, truck or van. “When I came to the garage that morning, it was as if it had never existed,” Mr. Kannatt recounts. As with so many others in the area, he found his life and livelihood destroyed by the landslide. n a warm, humid and tropical morning in January, months after the flood, Father Xavier Kudiamssery sits in his office in Alappuzha, a small coastal town in Kerala. He is the executive director of the Alleppey Diocesan Charitable and Social Welfare Society of the Roman Catholic Diocese of Alleppey. It is also the largest nongovernmental organization in this coastal region, one of the ministries of which played a significant role in reaching out to those affected by the flood. “We run a radio station called Radio Neythal,” Father Kudiamssery says. In Malayalam — the local language of Kerala — “neythal” means “seashore,” as the FM radio station was established to help with the educational and social development of the coastal communities. uring a number of my pastoral visits, not only have I witnessed firsthand the extreme sufferings of war, famine, natural disasters and the like, I have witnessed and been uplifted by the resilience of the human spirit. The survivors of these disasters not only survive, they thrive — oftentimes as a result of their profound faith and, among Christians, their support of the church. CNEWA is honored and humbled to witness this in our role of accompaniment of the local church. Msgr. John Kozar visits the Holy Family Church in Gaza in January 2016.
need. The church was at its best, not just in providing material needs, but in sustaining the faith of the survivors and inspiring them to maintain their hope. Holy Family Parish in the Gaza Strip is a beacon of hope and new life. Shortly after the last conflict between Hamas and Israel, in the midst of much suffering and destruction, Holy Family Parish opened its doors and its hearts to all — to the hungry, to the elderly, to people of every faith tradition. It was an oasis surrounded by a desert of despair and destruction. and their sense of hope in the midst of so much despair. Some might suggest this is heroic, but the poor would reject that word and say they are accompanied by Jesus and his church. 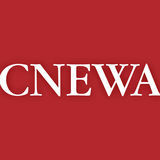 And thanks to your prayers and your generous gifts, CNEWA walks with the church in reaching out to those in need. Thanks to all of you for your Christlike love and concern. tt A mother holds her child in a refugee camp in Erbil, Iraq, in May 2015. p Children greet visitors to a refugee camp in Zahleh, Lebanon. t An Ethiopian mother generously offered to share her goatâ&#x20AC;&#x2122;s milk with Msgr. Kozar on his 2016 pastoral visit.